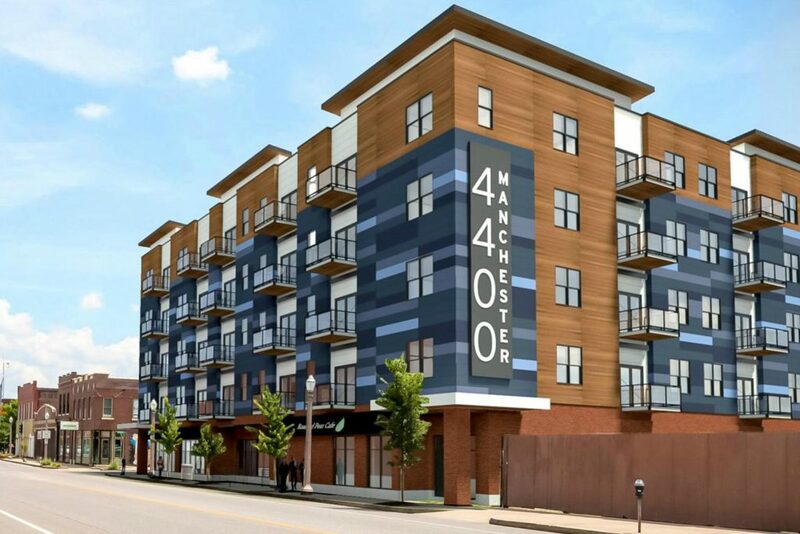 In July we revealed images of updated plans for a mixed-use infill project at 4400 Manchester in The Grove. We’re now able to report additional details and images. 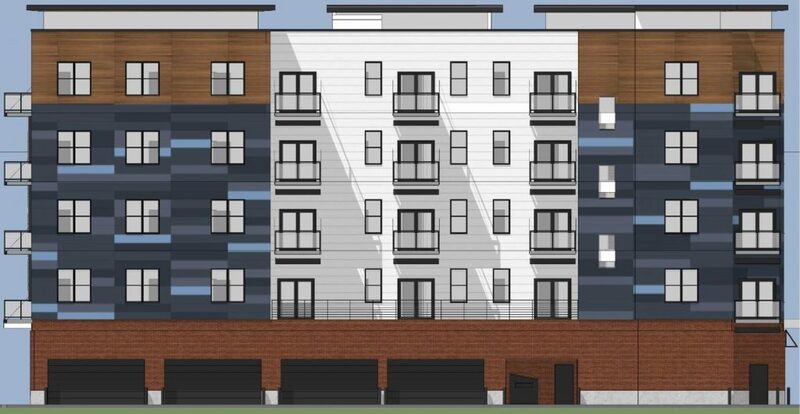 The project’s 55 apartments will be of “Universal Design”, with accessible apartments on four floors. 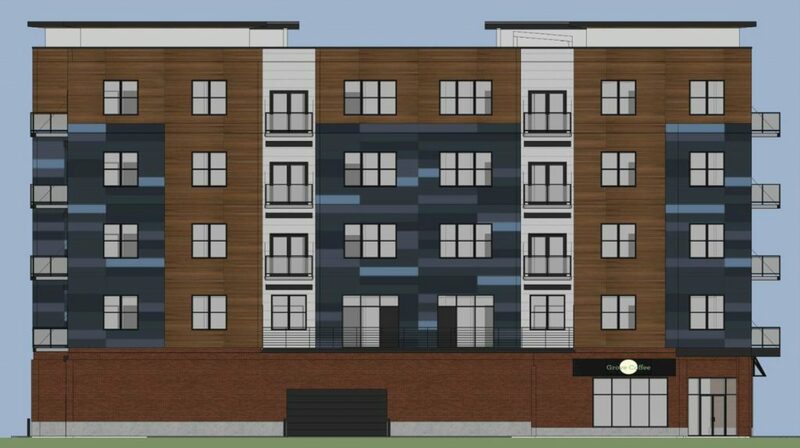 Elevator service and amenities such as a swimming pool, outdoor deck, fitness area, and bike racks are planned. 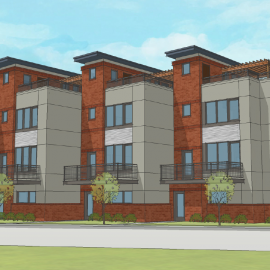 The aim is to provide amenities usually found in larger apartment complexes in a smaller setting and a walkable neighborhood. 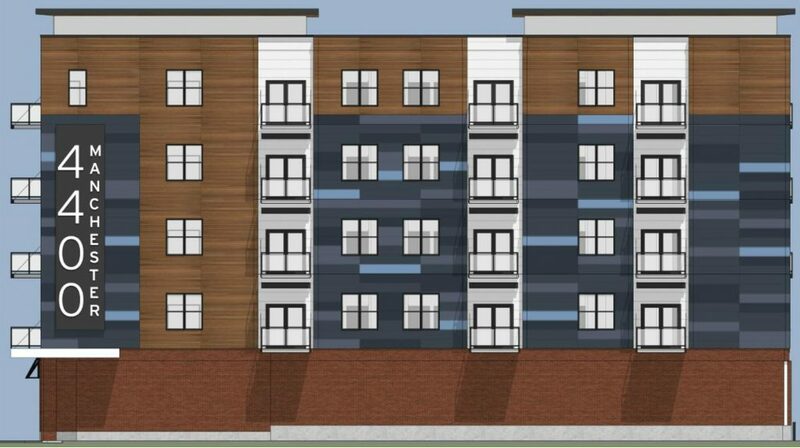 The units will be market rate and targeted at individuals aging out of multi-story homes or buildings. 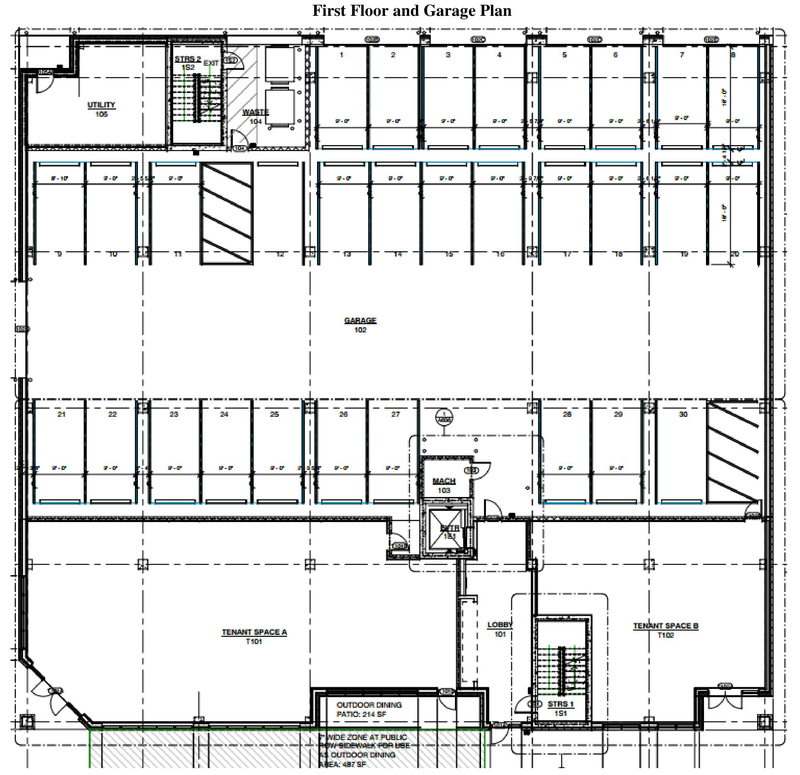 Approximately 4,000 sf of retail space faces Manchester on the first floor. 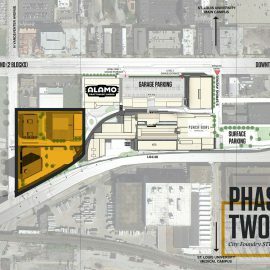 Parking is planned to be at street level behind the storefronts and below the apartments. 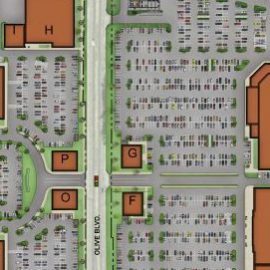 Additional parking could be located nearby, with no fewer than 58 total spaces planned. No curb cut is planned on Manchester. Total project cost is estimated at $11M. The majority of the lots on the site have been vacant since the 1970s. Construction could start as early as this October, with completion in late summer 2017. Raineri Construction would build the project designed by V Three Studios for Restoration St. Louis. 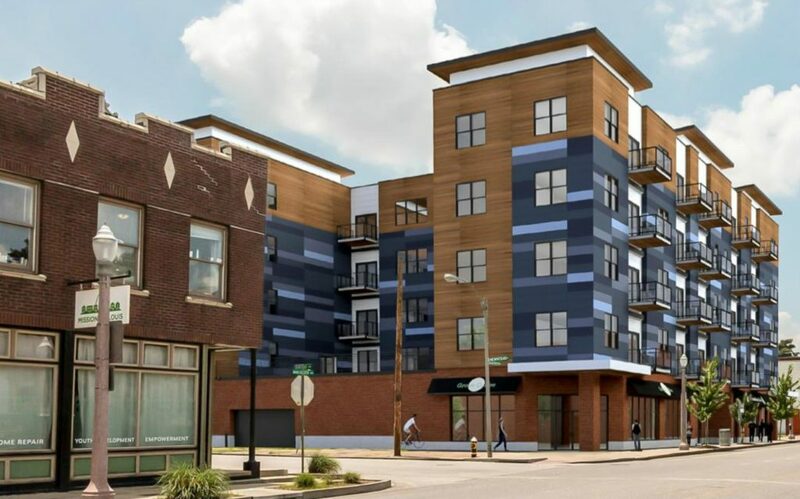 nextSTL has learned developer Restoration St. Louis is moving ahead with plans to build a mixed-use building at 4400 Manchester Avenue in the city’s Forest Park Southeast neighborhood. 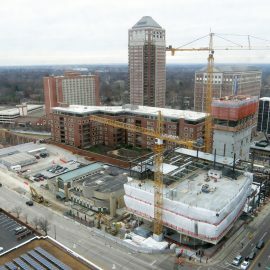 The V3 designed project includes 55 apartments and first floor retail and parking. 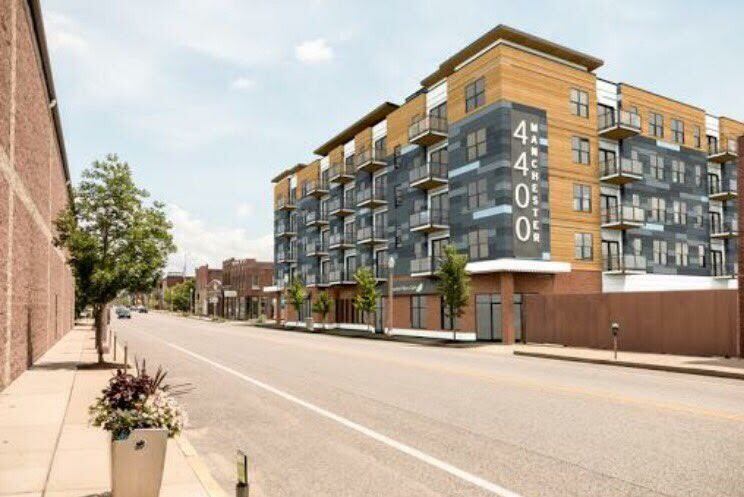 More than two and half years ago, an infill proposal for 4400 Manchester Avenue in The Grove was unveiled by Restoration St. Louis (image below). 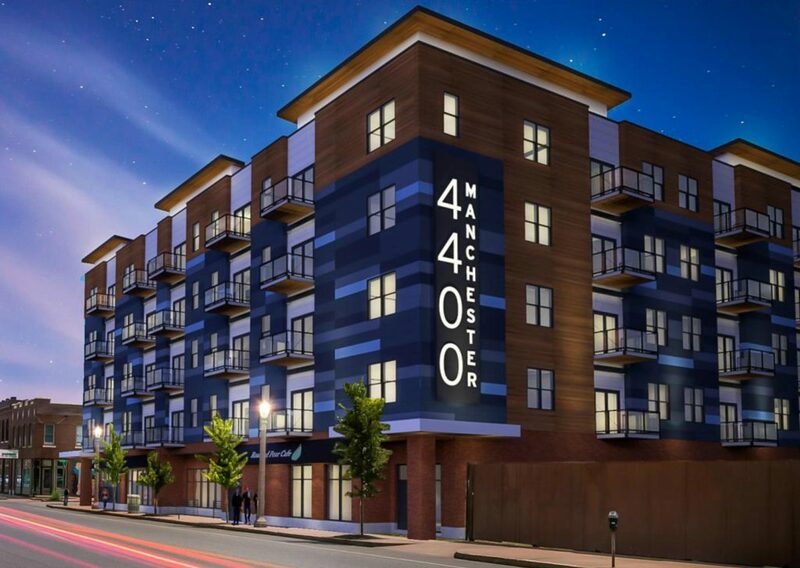 That plan called for 55 apartments, a pizza restaurant and Restoration St. Louis corporate offices. 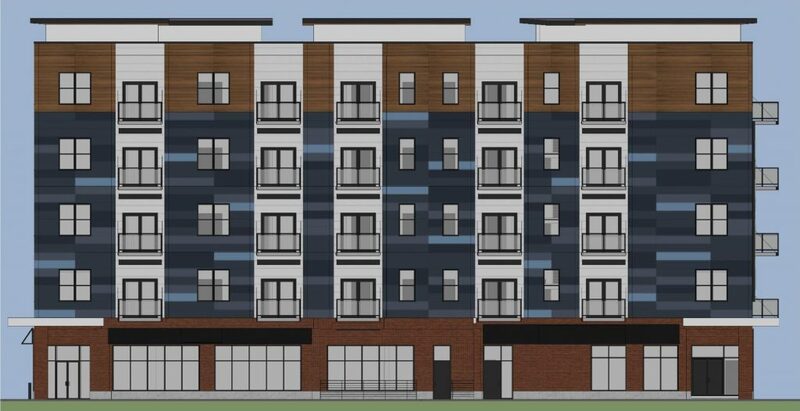 There’s likely more than one reason that project didn’t move forward, but a plan to place a surface parking lot behind the building on Swan was met with opposition from neighbors. 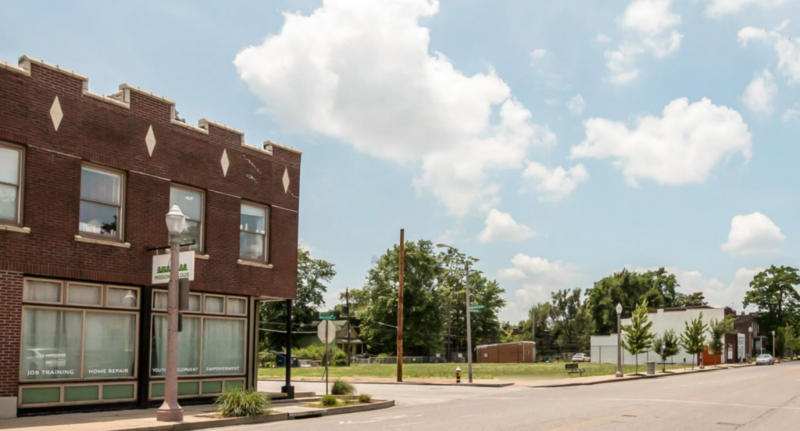 The proposed development site has been vacant since the 1970s according to Restoration St. Louis. While the neighborhood has changed and changed again over the past few decades, many long term vacant lots remain. 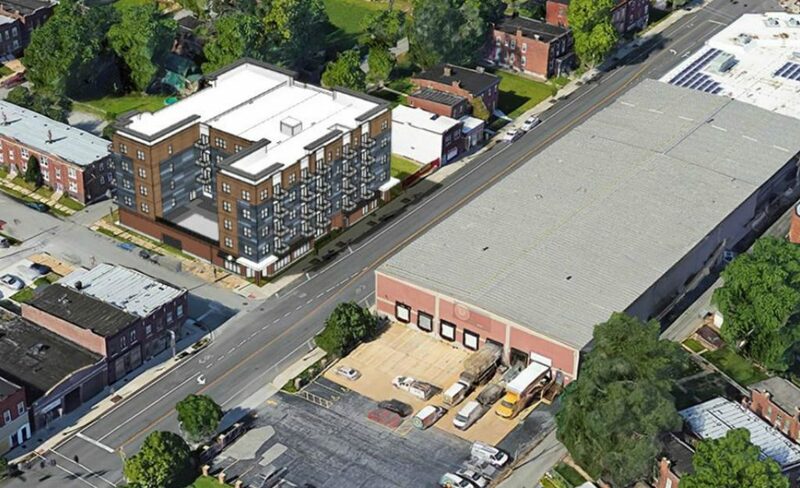 Big and small developments have continued to increase development pressure along Manchester, with the conversion of the Renard Paper Company building into the popular Urban Chestnut Brewing Company retail and brewing facility, being the most high profile by far. Since the 2013 proposal, Restoration St. Louis has restored a row of buildings a block and half to the east of 4400 for its corporate offices. Offices occupy the first floor of several buildings, now connected by an added atrium. That project did not utilize any economic development incentives. 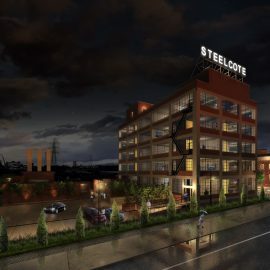 The investment is just one indication that the firm is returning its attention to St. Louis after completed several high-profile projects in Davenport, IA. In addition to its new offices, work on the nearly complete rebuild of the corner building at 4261 Manchester is wrapping up. Once completed it will be home to Sauce on the Side and Vincent Van Doughnut locations with apartments above.